Save 50% on Award-winning wireless Philips headphones | What Hi-Fi? The Philips SHB8850NC wireless noise-cancelling headphones can be yours for just £40. And no, there isn't a catch! 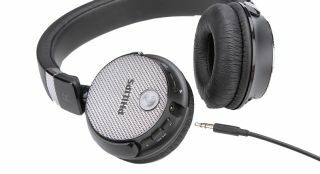 Even at £90, we heralded the Philips SHB8850NC headphones "fantastic value for money" for their insightful, well organised sound and portability. Now that the cans - currently our 'Best noise-cancelling headphones under £100' - are available for less than half price at Argos, they're nothing short of an absolute bargain.